One of our firm’s most popular seminars for community associations during the last year has been our presentation called “Service Animals and Your Community, Necessity or Exploitation.” Our attorneys who focus on community associations in South Florida have worked with many local HOAs and condo associations to help them to develop and implement their policies regarding service animals in accordance with the law, and we are now offering this seminar as a complimentary public service for communities and property managers. The seminar covers how the Fair Housing Amendments Act of 1988 prohibits discrimination against the disabled and mandates that properties must make “reasonable accommodations in rules, policies, practices, or services, when such accommodations may be necessary to afford such person equal opportunity to use and enjoy a dwelling.” We discuss the definitions of a handicap under the law and review several landmark cases and decisions. The presentation goes into detail on the elements of an FHA claim and how the courts have ruled on the definition for a service animal. It also covers how associations may request that the healthcare provider of the disabled resident complete a Reasonable Accommodation Request Verification Form. The seminar concludes with a discussion of exactly what constitutes a “reasonable accommodation,” which must be determined on a case-by-case basis by evaluating the benefits and costs of the accommodation. Permitting a handicapped individual to maintain a service-animal or pet would, in most cases, constitute a reasonable accommodation. 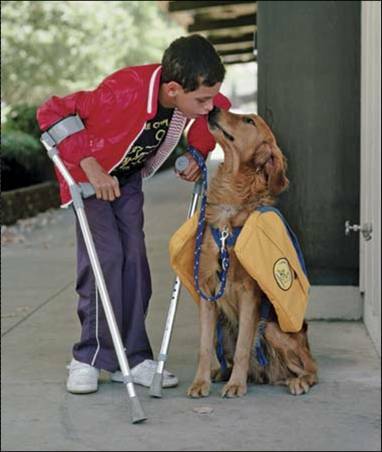 We also discuss examples of cases in which there is no discernable disability, e.g., depression, post-traumatic stress disorder, anxiety disorders and autism, and we explore questions pertaining to policies for service animals in the pool area, fitness center or other community amenities. The issues surrounding service animals for the disabled are important considerations for South Florida condominium associations and HOAs, and we are pleased to offer and conduct this informative seminar which also qualifies for 1.5 hours of continuing education CAM credits for property managers. Contact us at 1-800-737-1390 or via e-mail at info@siegfriedlaw.com to inquire about the possibility of scheduling the seminar, and be sure to enter your e-mail address in the box on the right to automatically receive all of our future blog posts.